Flying long distances is never all that fun. Our trip to Malmo Sweden took us to Reykjavik Iceland on the first leg, and then to Copenhagen Denmark on the last leg. 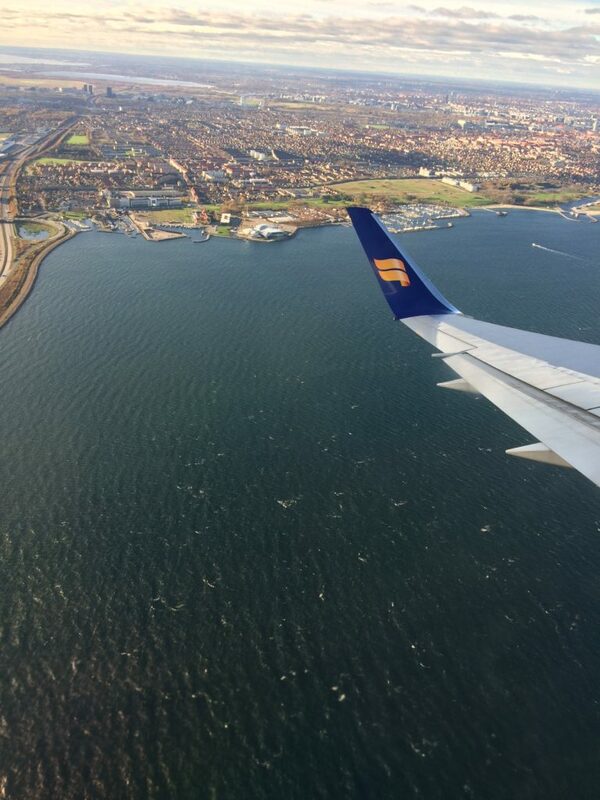 Iceland seems like a strange stopover location, but we flew on IcelandAir, so that’s their hub. The photo above is Orlando at sunset right after we took off on our trip. It was an overnight flight, which means that everyone is supposed to sleep during the flight. Easier said than done for some people. We were dead tired when we landed in Iceland. Our layover was supposed to be an hour and a half. But even before our plane left Orlando, we were told that our Iceland to Denmark flight was delayed several hours. 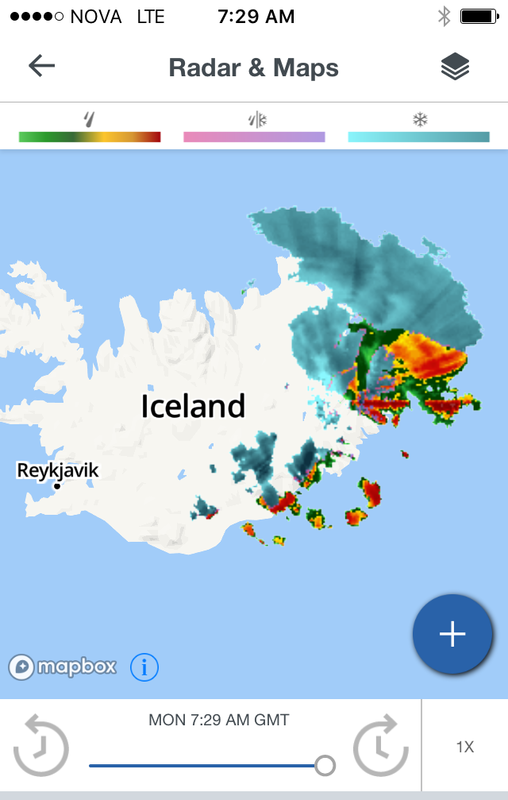 When we got to Iceland we were told that storms the previous day caused a backup of an entire’s day worth of flights and so our flight would get delayed 8 or 9 hours. Here is what the radar looked like an hour after we landed in Reykjavik Iceland. The storm from the previous day was still on the radar moving to the east. We inquired about what there was to do in Reykjavik Iceland, and the only activity that was presented to us was a popular local hot spring called Blue Lagoon. It looks pretty neat and really beautiful, but we didn’t really feel like doing a hot spring with all our luggage and without swim suits. 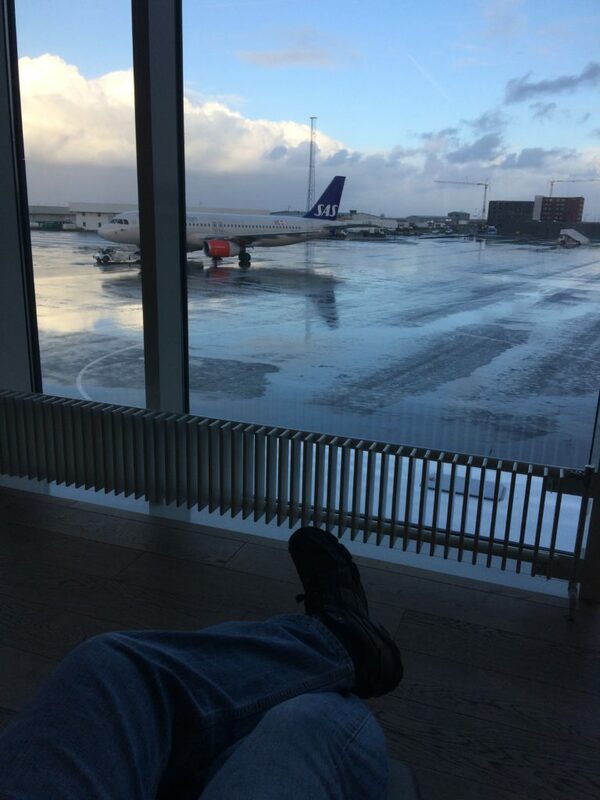 So after taking long naps on chairs in a quiet corner of the Iceland airport, we made ourselves comfortable for the day. We found some nice lounge chairs that we could stretch out in and chill. I watched a movie on my iPhone. And my wife did some “teacher homework”. 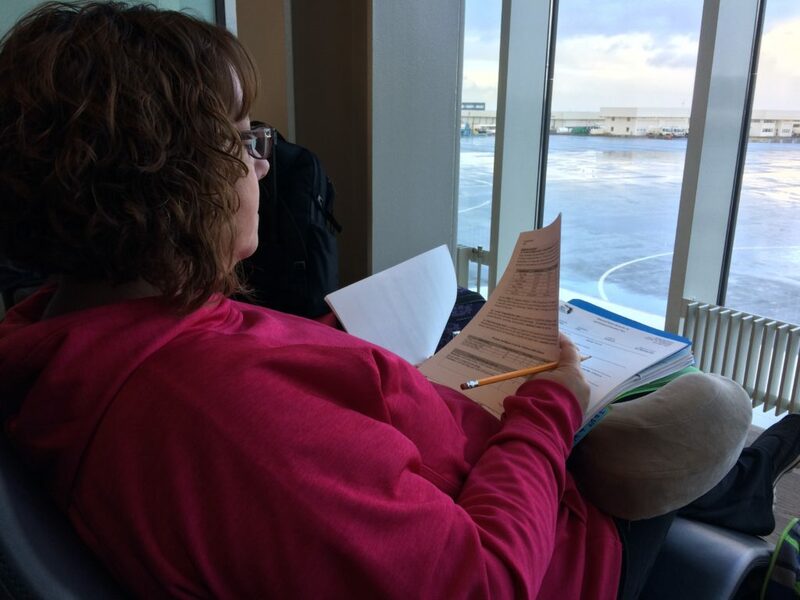 Grading papers or filling out teacher paperwork or something of that nature. Eventually we got on a plane for Copenhagen Denmark and arrived there close to 10pm local time rather than our planned noon arrival time. In Denmark they speak Danish and in Sweden they speak Swedish. And I know nothing about either of these languages. Luckily, most locals also speak fluent English. Once they realize that you’re not from around there. And luckily most signage that we encountered had English subtitles. But there were a few times that I needed a quick real-time translator. Google Translate mobile app to the rescue! It’s an awesome app! It uses augmented reality to show you the translated text over the top of the actual text using your phone’s live camera feed. 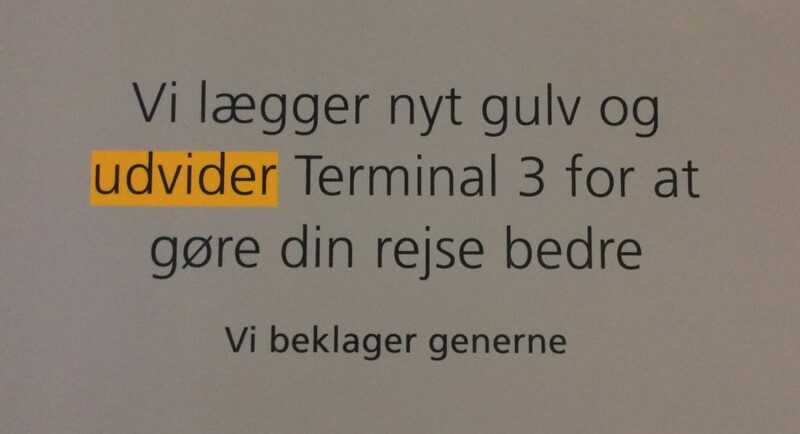 Here is a photo of a sign in Danish that was on the wall in the Copenhagen airport. 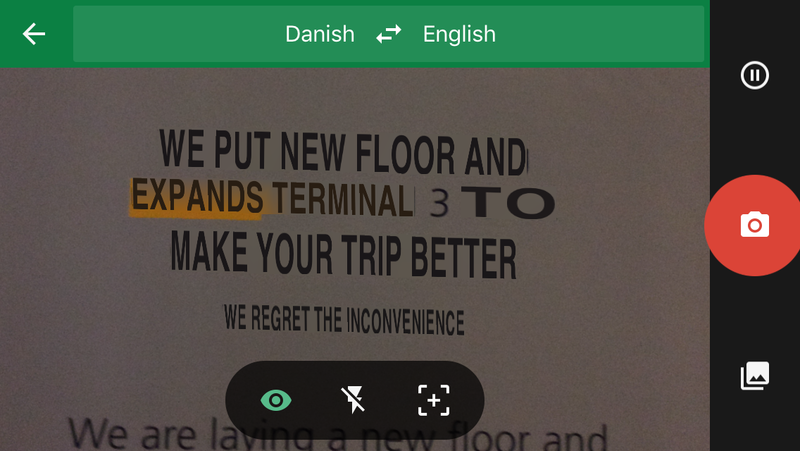 And here is a screen grab of what that sign looked like in the Google Translate mobile app. It overlays the translated text over the original text in a similar font and color in order to replace the text in real time within your live camera feed. It’s really cool. Not perfect, but super cool! To get from Copenhagen Airport to Malmo Sweden, we had to buy a train ticket inside the airport and then wait for the train. The signs were a little confusing because we needed to go to the Malmo Central train station, but the trains mostly showed their final destination. So we nearly missed our train because Malmo was in very small print on the sign. We noticed it just in time, though. Thankfully. It was cold waiting for the train, and I didn’t want to sit there for another 20 minutes waiting for the next train! The train from Copenhagen to Malmo goes both over and under the strait thanks to the awesome Øresund Bridge. It’s a pretty awesome trip, although we couldn’t see anything when we arrived since it was quite late in the evening. I didn’t get a picture of it, but our room had a giant mural of lips singing into a giant microphone. It covered one entire wall! 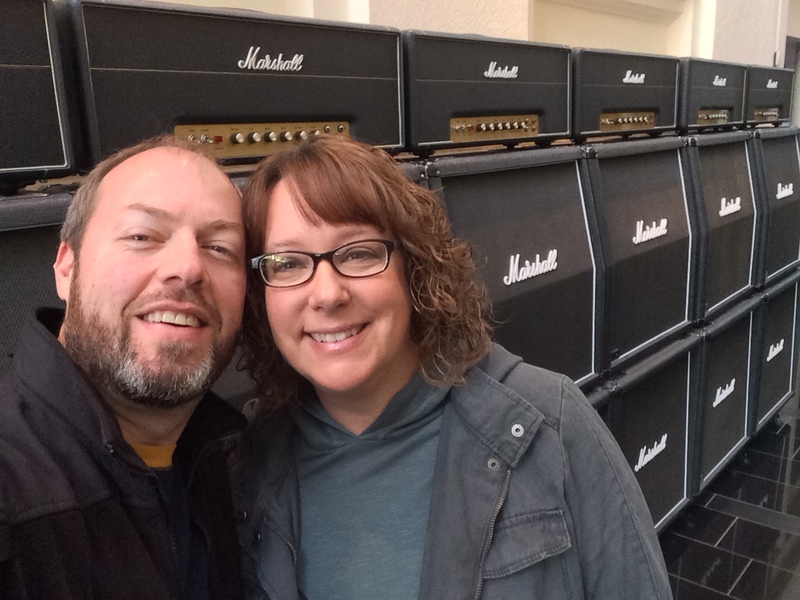 Very rock and roll! 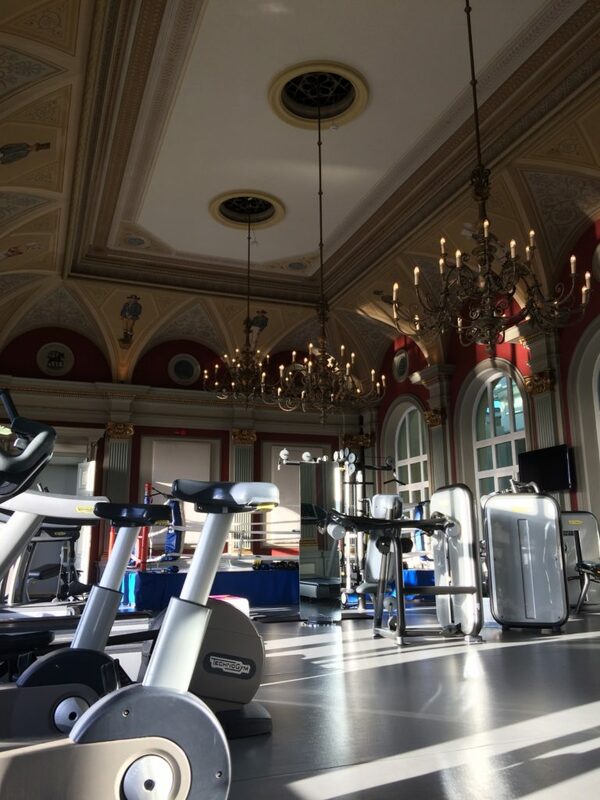 Although I didn’t end up using it during our stay, the gym in the hotel was pretty awesome! 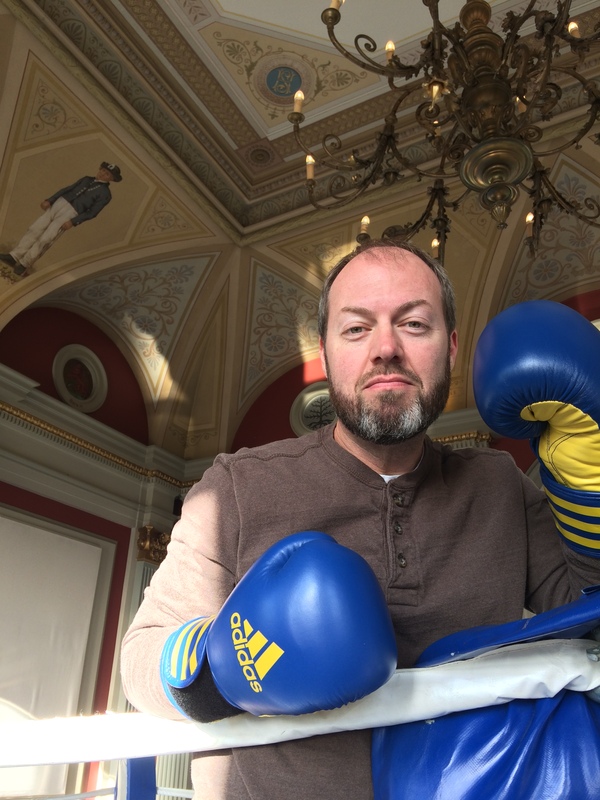 The equipment all looked brand new and the gym even had a boxing ring! Our flights back home at the end of our stay were fairly uneventful. 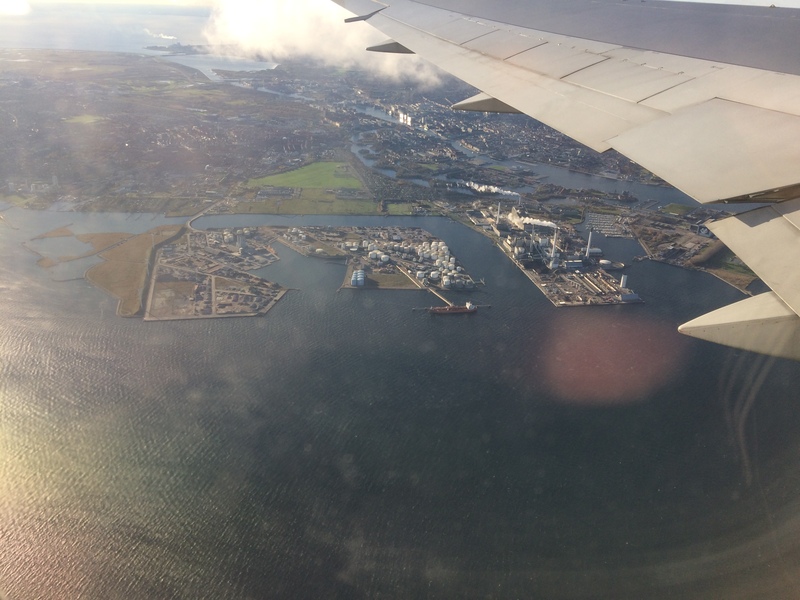 This is a photo of Copenhagen Denmark right after we took off. And this photo is also of Copenhagen a couple minutes later. One thing that I did note on the flight back. When we took off from Iceland on our second and final leg, the sun was just going down. And since we were flying west for about the first half of that flight, it actually took about 3 or 4 hours for the sun to actually go down! Pretty cool! I just returned from a trip to Krakow, Poland last week where I was speaking at a software developer conference. I posted details of that experience here. I also posted details about my sightseeing experiences here. Then I posted details about all the wonderful food I ate here. This final post, however, is dedicated to the trip in general. The flights, the hotel, and other stuff I noticed about Poland and Krakow. I don’t travel all that much in general, and this is my first time outside of the United States, so I may have been surprised or excited about things that are very common and everyday in Europe or other parts of the world. So please take that into consideration while reading this. Here is a photo of the big Lufthansa 747 jumbo jet that took me across the pond. It was about an 8 hour flight from Orlando to Frankfurt and then another couple hours from Frankfurt to Krakow. 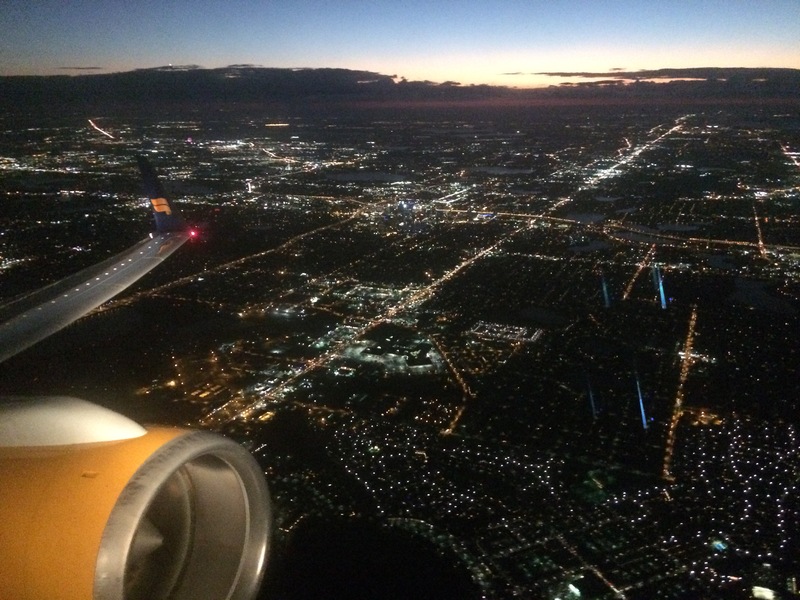 The 8 hour flight started at about 8pm Florida time, so it was an overnight flight. I chose a window seat towards the very back of the plane. The Economy class seats were 10 across. 3 seats, aisle, 4 seats, aisle and then 3 seats. But in the very back where the tail of the airplane starts to get thinner, there were only 8 seats across. 2, 4, 2. So I chose a window seat where there were only 2 seats to choose from. My thinking was that the likelihood of another single passenger to take that single seat next to me was less likely than a couple who would take an available 2 seats next to me. And I was right. Nobody sat next to me in the aisle seat. Each seat had a complimentary entertainment system mounted in the forward seat’s headrest. The system had lots of music, TV shows, and feature films to choose from. It also included a live animation of the flight as it progressed, which I thought was pretty cool. Since this was an overnight flight, I didn’t use the entertainment system very much. I tried to sleep instead. Poland is 6 hours ahead of Florida, so I tried to go to sleep earlier than normal in order to get used to Poland time. As I mentioned, there was nobody sitting in the aisle seat next to me, so I tried to lay down across both seats and get some sleep. I usually don’t have much trouble getting to sleep. But two seats is just not enough room. Not even for me. Not even when curled up into the fetal position. I tried. I really tried. I tried on my back. On one side. On the other side. It just didn’t work. So I sat upright and slept like pretty much everyone else on the plane. I ended up getting about 4 to 5 hours of sleep. Not bad considering the conditions. Here is a photo of Germany about 30 minutes before we landed in Frankfurt. You can see quite a few of those giant modern wind turbines down there. I snapped this photo out the window of what turned out to be Oberwesel, Germany which looks like a cute little village with a cute little port there on a dogleg of the Rhine River. Click here to explore this area using Google Maps. We got basically a pilot’s view of the approach on the entertainment system as we came in for a landing in Frankfort. Once we landed at Frankfort, I had to walk quite a ways around the airport to get to my gate for my flight to Krakow. And I had to go through immigration, which had quite a long line. I also had to go through the x-ray scanners again. Speaking of the x-ray scanners. I don’t travel much, so forgive me if this is common. But both Frankfort and Krakow had a nice automated system for getting the plastic bins back to the start of the line after those bins were used to carry bags and purses through the x-ray scanner. At Orlando, workers have to manually stack up these plastic bins and haul them back around to the start of the line. A completely manual and highly labor intensive process. Once I got to my gate in Frankfort for my short flight to Krakow, the gate was automated. Each passenger just scanned their boarding pass and a little gate opened up for you to walk through. Pretty cool. I love automation. When it works. So I thought I was walking down a ramp to board my plane to Krakow at this point. But I was wrong. I was walking down stairs to a ground level garage of sorts where there were several busses waiting for us to climb aboard. These busses took us to our planes which were parked way out on the tarmac away from the terminal. I guess this is necessary if your terminal cannot handle all the planes and flights. But I thought it was dangerous. I had already scanned my boarding pass and there was no way to make sure passengers didn’t get on the wrong bus or the wrong plane at this point. I got on the right bus and the right plane, but there was nothing stopping me from doing otherwise. Once I arrived in Krakow, there was a car and driver waiting for me holding a sign with my name on it. That was pretty cool. He drove me about 20 minutes to the hotel in Krakow and I gave him 2 US dollars as a tip. He said that was highly uncommon but he was very excited to get it, though. Checking into the Novotel Hotel Centrum was quick and easy. Everyone in Poland speaks pretty good English. When I got on the elevator, I noticed that the lobby floor was labeled floor zero. This was the only elevator I used during my entire trip, so I don’t know if this was common or not. I loved the design of the hotel bathroom. It was very simple and clean. I loved the fact that the toilet didn’t actually touch the floor. I’m thinking that this is a more sanitary situation than a toilet that goes down into the floor. During my 5 day stay in Poland, I noticed that none of the toilets actually touched the floor. I also noticed that all of the toilets used the water efficient two-button system of flushing. A small button for number 1 and a large button for number 2. In theory, this conserves water. But in practice, I noticed that the light number 1 flush was seriously powerful and used quite a bit of water. And the number 2 flush was just crazy. Stand back, people! I will admit that when I got into my hotel room I had to go to the bathroom in the dark because I could not for the life of me figure out how to turn the lights on. Afterwards, after the pressure was off, I figured out that this little electronic thingy mounted on the wall just inside my hotel room door labeled “Hotelcard” was for me to stick my room key into. And magically it allowed all the lights, and apparently also the air conditioning, to work! Genius! While experiencing Krakow, Poland for nearly a week, this historical dude riding a fake horse kept coming up. Literally several times each day. Apparently it’s a Krakow tradition called Lajkonik. There are several stories and explanations, so I’ll let you read them on your own. Here is a flight of stairs combined with a ramp for cyclists. Very cool. Almost all the streets I encountered while in Krakow are cobblestone. Some were even quite decorative and beautiful. One thing I noticed right away when walking around Krakow is that people only cross at marked crosswalks. I also noticed that there were very few crossing signals for pedestrians. Like in the photo below. Pedestrians just wait for a clearing and they go. And if cars happen upon pedestrians crossing in these marked zones, they always stop. I get the feeling that if you try to cross outside one of these marked crosswalks, the cars would just run you over, though. Many Polish words are very close to the English version. Like “alkohole” for “alcohol”. The word “alkohole” just cracks me up every time I see it, though. And here is a selfie I took in the Krakow central town square. It was chilly that day. The high was only 60 degF. Several days while I was there, the high was 75 degF which was unseasonably warm. I did not drive while I was in Krakow, but I don’t think it would have been bad. It’s not a very big city and there appeared to be some parking available. I noticed that gas was about 4 US dollars per gallon, while back in Florida it was right at 2 dollars. Yes, I did the conversion for liters and also for Polish Zloty. I didn’t get the green running-man exit signs at first. Probably because I’m used to exit signs being red instead of green. One of my random observations of Poland is that everyone there smokes like a chimney. I didn’t see very many electronic cigarettes. Just old fashioned tobacco ones. And lots of them. Sometimes I even had trouble getting away from the smoke and finding fresh air. Another random observation is when you order a Coke in a restaurant, you never get a big glass or a big cup like in America. You get a teeny tiny little 6 or so ounce glass. Barely enough for a meal. They drink a lot of water and beer here. Mostly sparkling water, which I’m not a fan of. Well, that about covers my trip to Krakow, Poland! Thanks for your interest! The Neptuna Carnival will open tonight with a concert program given by the famous Liberati band of fifty musicians and company of opera singers. This concert will be given from the Island Beautiful in the river directly in front of the grandstand. There are over 10,000 seats in the grandstand. at 25 cents each. The concert will begin at 8:00 and according to the advanced sale of seats will have a really remarkable attendance. The ballet, which is to present a marvelous spectacular ballet on the Island Beautiful on the night of the Fourth in honor of the coming of Neptuna. The entrance of the Court of Honor, which has been erected on lower Main Street near Adams and on the parking lots of the river front, is a sight of majestic splendor and pure architecture, with its columns gleaming white. It frames a vista with the sparkling blue of the river and the green hills as a background. When the thousands of incandescent monster lights, which have been placed for the illumination, are at last alight, the Court will present a vision of beauty not soon to be forgotten. The river front will present a decidedly festive and carnivalesque appearance with many booths and tents having sprung up during the day. Ten thousand seats on the riverfront?!?! Wow! Sounds like a great time, doesn’t it? I hope someone has photos of this 1916 spectacle that they can share on the Internet. I realized that I was on the last ship to come over to America from Germany, for on August 1st World War I broke out in Europe. I still had good fortune. I didn’t know that there was a war going on, since I couldn’t read or understand English yet. According to Wikipedia, the SS Vaterland had made only a few trips when she arrived at New York City in late July 1914 just as World War I broke out. A safe return to Germany was rendered virtually impossible by British dominance of the seas, so the ship was laid up at her Hoboken, NJ, terminal and remained immobile for nearly three years. She was seized by the United States Shipping Board in April 1917 and turned over to the custody of the U.S. Navy in June 1917. As a direct descendant of Kurt, I can’t help but imagine how different my life would be if his trip to America had not occurred exactly when it did. That’s all the journal entries from his initial introduction to America, but there’s a lot more to read. He continued to journal for several years on topics such as living and working in Peoria, the war from the perspective of a German immigrant, the terrible winter of 1917-1918, getting the Spanish Flu, finding love in America, and much more. At 1:45am, we finally arrived in Chicago. Those of us who were to continue on received a piece of paper, which was pinned on. At the train station, buses were waiting. Everyone was placed on the appropriate bus. Now, I was all alone. The bus I was on went to another train station. I had a four and a half hour layover before my train left for Peoria. While waiting, I ventured out to look at the city of Chicago for a little bit. At 9:00am, the train left. I arrived in Peoria just before 2:00pm. I took a taxi to my Uncle Gustav [Degenkolb’s] home, according to the address on my paper [822 Griswold Street near Humboldt]. When I got there, I rang the doorbell; but no one was home. It wasn’t long before my Aunt [Alice] came. My uncle was out of town and was to be back home on Tuesday. My aunt and I spoke German with each other. She could not speak much, but it was sufficient. I washed myself thoroughly and laid down for awhile, since I was quite tired from the trip. “Uncle” Gustav is not an uncle, nephew, nor cousin to Kurt even though he referred to him as Uncle Gustav throughout his journal. According to genealogical research Kurt’s father, Julius, had a sister named Alma who married a Degenkolb. This Degenkolb, Julius’ brother-in-law, had a brother named Gustav who came to America. So “Uncle” Gustav is related only by marriage to Kurt’s Aunt Alma. Reverend Gustav J Degenkolb was born in the province of Saxony, Germany in 1876. He was twenty years older than Kurt. He came to the United States in 1896. He married his wife, Alice, in America. He was the first minister, from 1911-1915, of Grace Evangelical Church, located on the NW corner of 605 Stanley Street at Humboldt in Peoria. Kurt and Verna were married in this church in 1920. The church built a new building diagonally across the street in 1925 which still stands there today. Kurt’s third son, Bill, married Gail in the 1925 building in 1966. It became Grace Evangelcal United Brethren Church in 1946, then Grace United Methodist Church in 1968 ending its affiliation in 2002 and was sold.